Any true sci-fi fan will go weak at the knees at the mention of the name "Ridley Scott", the very man behind the B-Movie turned classic Alien (1979) and the cult hit Blade Runner (1982). Therefore it was no wonder that there was an uproar of excitement from fans of these hits when it was revealed that Scott would be returning to his sci-fi roots in directing Prometheus (2012). Upon the release of this quasi prequel there will be a question rooted at the back of every viewer's mind. With the pioneer himself back at the directing helm can Prometheus redeem the Alien franchise from several inferior sequels? Set in the year 2093 the crew of the namesake spaceship Prometheus begin a mission to follow a star map left behind by several ancient Earth cultures. Their ultimate ambition is to seek the true origins of humanity; but instead they uncover the very thing that could destroy it. As with many of Scott's previous films Prometheus holds a good, steady pace that gives a perfect balance of dialogue and action. There is never a section in which attention will be lost and the narrative is extremely easy to follow; but could this lead to a downfall? The narrarive, though seemingly using a loose template of Alien's plot, had so much potential as it sees seventeen space explorers set out to challenge religious beliefs and discover how humanity actually came into existence. However, this quest is seemingly forgotten throughout the course of the film in favour of stylistic action sequences. 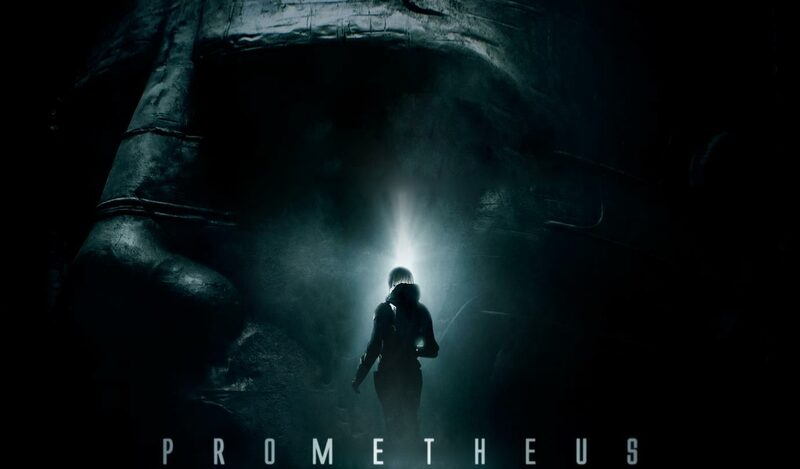 Basically, Prometheus opens more doors than it closes and draws on the forbearing films in a way that renders it somewhat predictable at times. Aesthetically Prometheus is flawless. For added nostalgia the head designer Arthur Max even took some of H.R. Giger's unused designs from Alien and incorporated them into the film. The subtle use of 3D must be applauded as it helps the viewer fall into the science fiction feel of the film in many scenes (especially in David's solo scene seen in the image below). It meets a new middle ground that is worlds apart from Avatar's in your face effects and the way that Harry Potter and the Deathly Hallows Part 2's rendered it useless. L-R: Charlie Holloway (Logan Marshall-Green), Elizabeth Shaw (Noomi Rapace) and David (Michael Fassbender). Michael Fassbender stands out from his co-stars with portrayal of David the android. Though he does not give the stereotypical robotic performance, which comes naturally to certain actors even when playing humans, Fassbender masters the art of playing a machine attempting to be human. From the deliverance of dialogue down to the smooth body language, the role of David is perfected. Aside from Fassbender another favourite performance is Charlize Theron's Meredith Vickers. Though Theron has played the antagonist before in Monster (2003) and Snow White and the Huntsman (2012), she manages to set Vickers aside from these two films and doesn't fall into the trap of playing the same character but in a different film which many actors do. The same cannot be said for the other characters, though the cast must be praised as they did their best with the script they were given, the characters are poorly written and fail to intrigue the way in which their mechanical crew member does. It must be said that the comic relief of the film; Milburn and Fifield's Laurel and Hardy routine, cannot be faulted. However, the biggest let down of the picture was Shaw, though played by the brilliant Noomi Rapace, she is no match for the franchises original heroine Ellen Ripley and falls by the wayside in comparison, often letting her emotions get the better of her and lacking any type of brute drive that made Ripley so iconic. Michael Fassbender's portrayal of David stands out in a sea of dull characters. It seems that from its conception Prometheus was doomed to be compared to Alien and depending on the eyes of the beholder it can either fall into its shadow or rise from its ashes. Overall the potential was definitely there; it's narrative was original, intriguing and provided the franchise with a breath of fresh air but at the same time it was let down by its over presumptuous nature in regards to its reliance on gaining a sequel in order to rectify the many questions that it left unanswered. Though, with all of this taken into consideration, it is a massive improvement on several of the later films in the Alien franchise and can still be enjoyed. 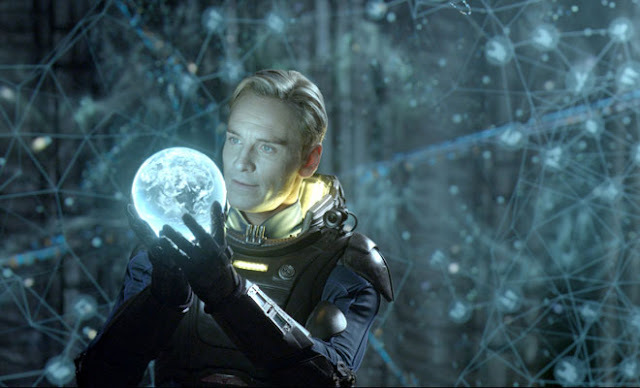 Prometheus is aesthetically beautiful and most importantly it will keep you entertained. But it fails to tie up its loose ends and the lack of closure could leave a bad taste in your mouth. Though it's a sad case of style over substance it prevails over other films in the franchise but won't have the same impact on cinematic history as the original chest bursting sci fi classic.